Guernica author Elana Wolff has been awarded second place in Qwerty’s first annual Upper Left Writing Contest. Qwerty publishes innovative poetry, fiction, and visual art from emerging and established artists such as Ross Leckie, Mark Anthony Jarman, Anne Simpson, Michael Crummey, and Joel Katelnikoff. 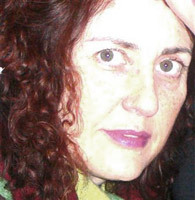 Elana Wolff is the author of You Speak to Me in Trees, published by Guernica Editions.